MYX VJ Ton Vergel De Dios wants to incorporate his rock band experience into his new job as a MYX VJ. Ton plays for two rock bands at the moment; one is named Hansom where he sings while his two brothers play instruments and the other group is called Tonight We Sleep where he is the lead guitarist. Whenever he and Hansom would perform in a gig, they would often be likened by fans to the Jonas Brothers, especially that Ton sports long, wavy hair like Joe Jonas. “Actually lots of people see us like Jonas Brothers or Hanson. 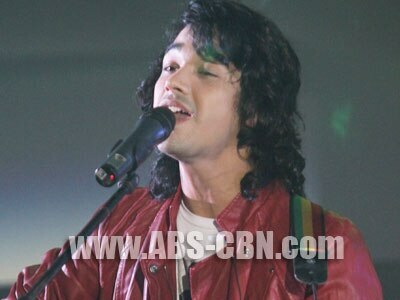 Pero kapag narinig niyo kaming tumugtog you will find out na mas maingay ang music namin kesa sa Jonas,” he clarified. Ton named Juan Dela Cruz Band, Kamikazee, and Parokya ni Edgar as among his music idols. Catch VJ Ton on My MYX, Pop MYX, Rock MYX, and Take 5.